Sword Art Online 15 is now available.up next. The next episode is entitled Return. From the title itself, it gives us a little bit of an idea of what will happen next, return to VRMMORPG. Kirito a.k.a. Kirigaya Kazuto cleared the game and was able to logged out from SAO. He woke up in a hospital in a very weak and malnourished state. But there was only one thing on his mind after he woke up, and that’s Asuna. He went out of his room to find Asuna. But she’s not around. What will happen next in Sword Art Online 15? Let’s find out more below. UPDATE2: I think the spoiler below also includes the next episode. This episode ended when Egil emailed an image of Asuna from ALfheim Online. Don’t read it if you don’t want to get spoiled. UPDATE: Sword Art Online 15 is now available. I’ll try to put up a review of this chapter on another article soon, and see if the spoiler is still accurate or not. WARNING: From this section forward, this contains heavy spoiler and some brief information on what is about to happen next, now that Kirito is back to the real world and SAO is destroyed. The previous episode just marked the end of the Aincrad Arc, and Sword Art Online 15 is the beginning of the Fairy Dance Arc. When Kirito woke up, he was not able to find Asuna immediately. After he regained his strength, he was able to meet with old acquaintances or his family. Chit chat here and chit chat there. But he did not stop looking for Asuna. 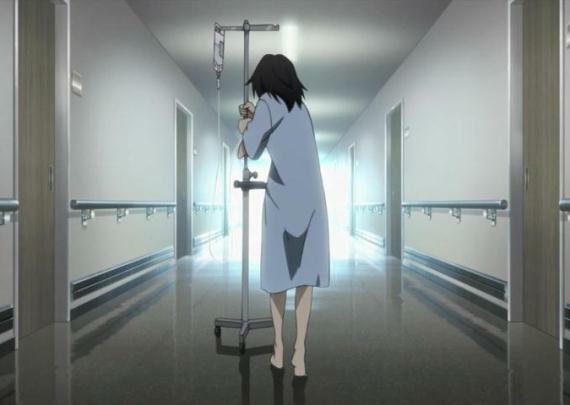 Finally, Kirito was able to find Asuna in another medical institution in Tokorozawa. When he got there, Asuna was still asleep. As if she was still trapped in the world of SAO. How could this happened? Kirito, feeling that he can’t do anything, was about to leave when he met Sugou Nobokuyi, a person somehow connected to SAO or from the company that created SAO. (Not really sure about that). But the most shocking thing he found out is that this guy is Asuna’s fiancé (or something like that) and they will be married in a few weeks. Sugou told Kirito that he can attend the wedding but warned him that he should never involve himself with Asuna. After that Kirito left, and later met with Agil. Agil introduced or showed Kirito a new VR technology, the AmuSphere. The AmuSphere is basically like an upgraded or enhanced version of the Nerve Gear. A new company was created while they were still trapped in SAO, so basically they did not have any idea about AmuSphere at all. Agil also told Kirito about ALfheim Online. It’s a new VRMMORPG like Sword Art Online except that it’s more of an Elf-themed game. ALfheim means “Elf Home“. In ALfheim Online the skill system is extreme. Players are encouraged to do PKing (player killing). But if you die in this game you can still be revive and you won’t be trapped in this game, unlike in SAO. Agil further explained that ALfheim Online relies on the player’s own athletic skills and not on a character’s class. The great thing about ALfheim online is that the player has the ability to fly. If you have seen Accel World, Silver Crow was the only avatar that has the ability to fly. 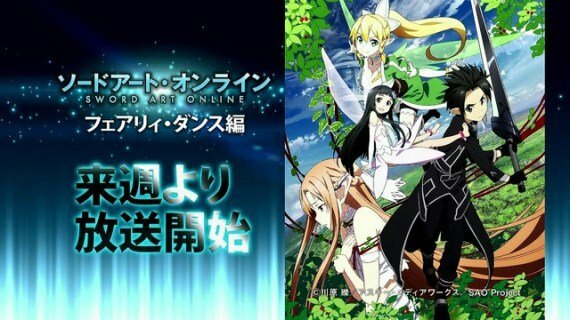 Kirito wants to play ALfheim Online to confirm something. He wants to try and save Asuna whose consciousness is still trapped in the world of SAO. Most probably on the company’s server somewhere. Kirito suspects that his fiancé Sugou Nobokuyi could be behind this and he might know why Asuna is still not awake. If you look at the picture below, Asuna’s avatar is Elfen. Most probably she is trapped in Alfheim Online and Kirito must save her. Okay, let’s stop right here. 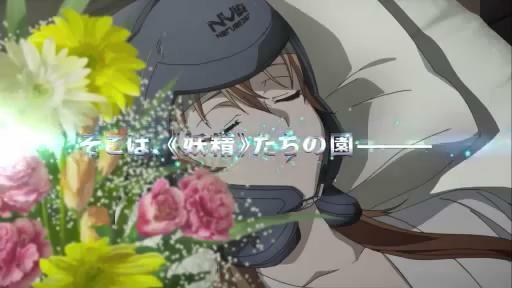 We will have to watch Sword Art Online 15 to know if the spoiler is still accurate, at least more or less. Please don’t forget to Like or Share this article to your network if you liked it. I’ll updated this post as soon as Sword Art Online 15 is available. Stay tuned!